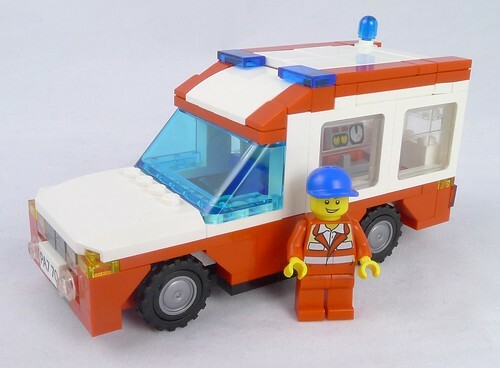 I mentioned it when talking about my modular hospital, because that’s what I made it for, but I think it deserves it’s own post For the first time, I have created a car in LEGO I am pleased with. I have made a few feeble attempts previously, but nothing I have really wanted to show off. 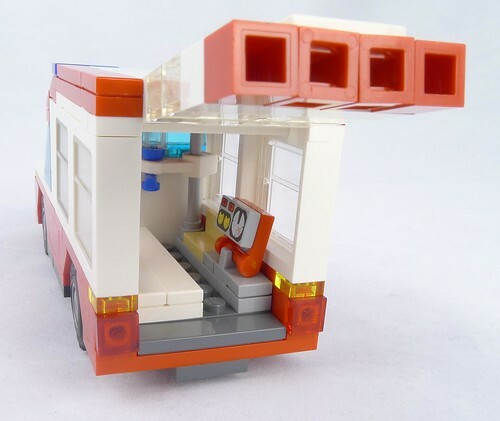 This time, since I was making the modular hospital for a contest, I wanted the ambulance to look good. I got some expert tips from a friend who loves to build cars, and got going. The back door opens to reveal space for a stretcher, an intravenous line, a seat for a paramedic, and a defibrillitor. Hi. This is Cristiano from Italy. I am an AFOL like you (maybe you are much more AFOL then me…. 😉 ). I am going to complete the ICE PLANET 2002 subtheme and I would like to know, if possible and if you want of course, if you have built the ICE PLANET APARTMENT with a tech support like lego digital designer or as freelance. This because I like very much your version of apartment and I would like to build it as well. I had the same idea with MTRON a while ago. 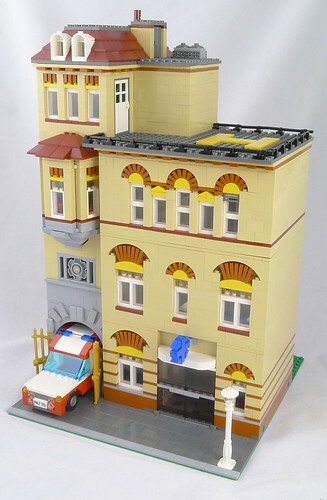 Here you can find my version http://cristianoruggeri.malpensa.net/3_Lego_mania/MOC/MTronMOC/Basi_centri_edifici/Alloggi/Alloggi.htm (comments of any kind well accepted). Thanks for any answer, whatever it will be. Bye. Cris. Hi Cecilie. Thanks for your reply. Yes, I have seen the picture you linked, and also many others with incredible landscaping. Personally, I have some material to build up some landscapind too (rocks, parts of buildings, antennas, platforms, destroyed / old / under repair vehicles and starships) but so far I have never seen all my M-tron sets and mocs all toghether. Same for all my classic space, my blacktron 1, my unitron and futuron. I have all the official sets plus some mocs, but never pictured all toghether. Maybe one day I will arrange something… bye. Cris.